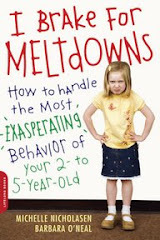 I Brake For Meltdowns: You stand up on that thing? You stand up on that thing? The highlight of my long summer with the kids was watching them surf. Unlikley as it may sound, it's a family sport. It can be a drag getting packed for the beach, hoping you remember everything, and mediating fights in the car as you sit in a long line of traffic. But then the kids burst out onto the sand, and they are beyond happy. Good small waves are powerful draw, and my 5 year-old can stay in the surf for 2 hours with his boogie board. We stand nearby, of course, so we end up tag-teaming to stay out with him. Then we tried the real thing. Kids (who can swim) are up and surfing within an hour of a kid-friendly lesson. Their light weight and low center of gravity make balancing easy. Watching them 'get it' is joyful and thrilling. But I couldn't just do it vicariously. I had a lesson, too, and actually stood up and caught some rides. I guess that's all it takes, because now I'm hooked. How surfing fits into my crazy lifestyle I haven't figured out. I just know that when I'm on the water, it feels like I'm a world away. I have to remember this: bringing the kids to the beach is a great idea, in any season. Even if they fight over beach gear in the parking lot.